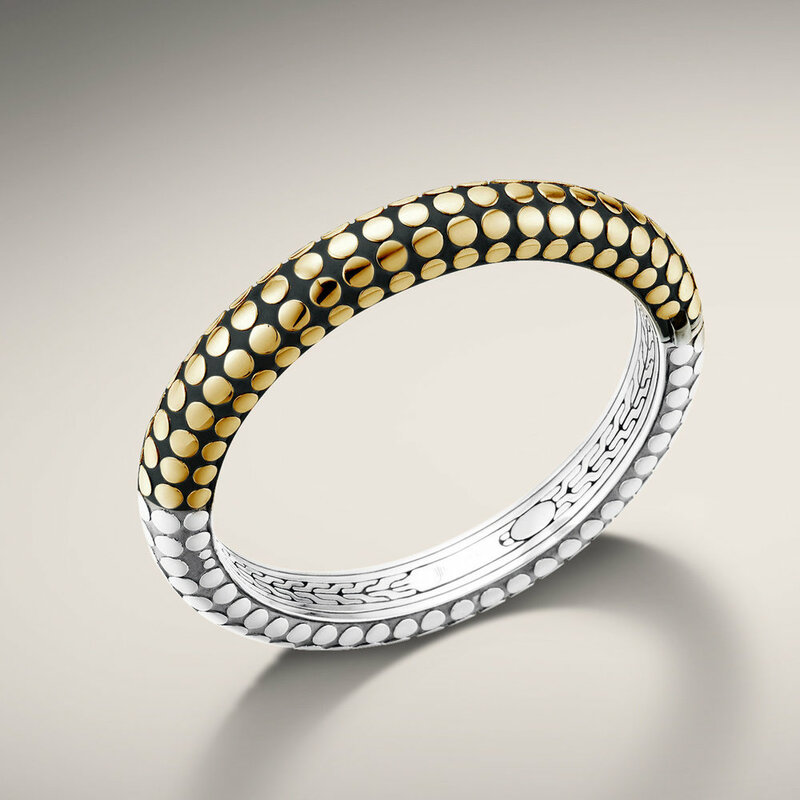 John Hardy dot collection. 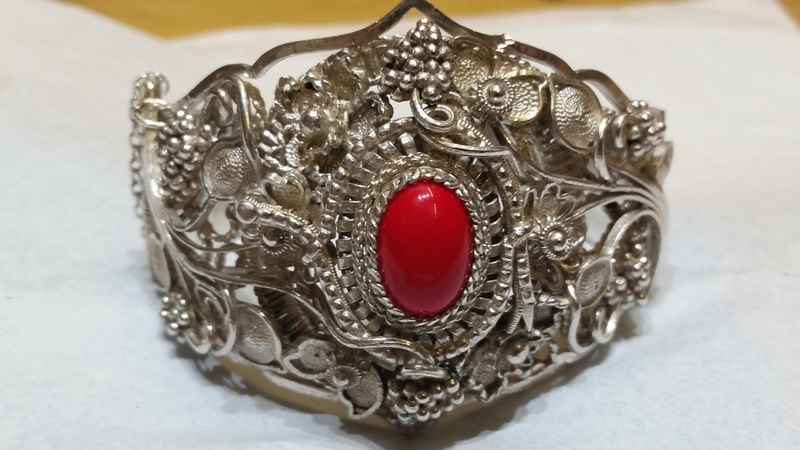 Polished silver and classic chain style flexible cuff bracelet. 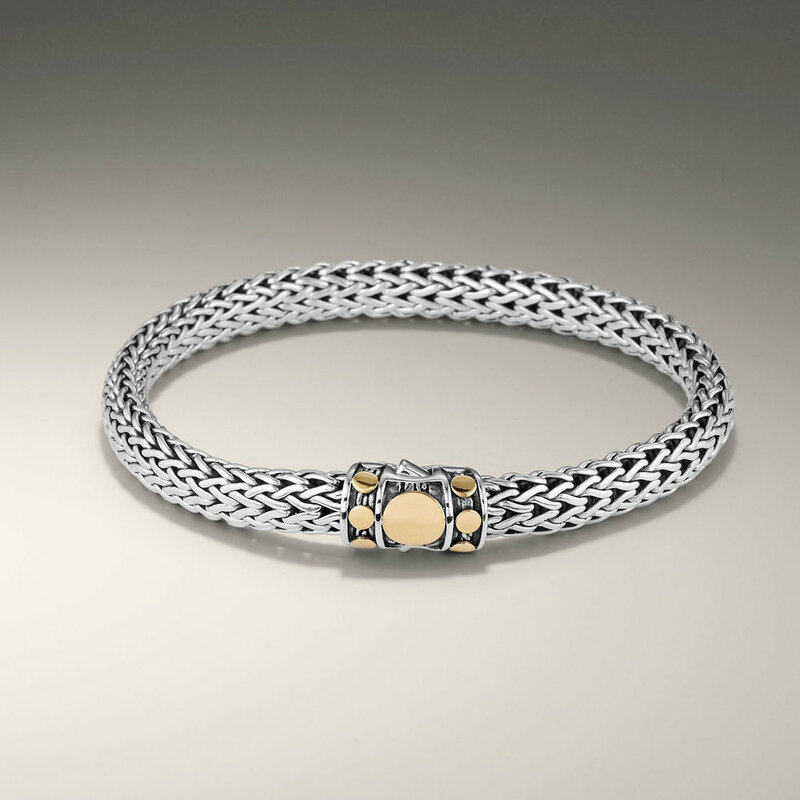 John Hardy classic chain stackable bracelet with diamond pave clasp. 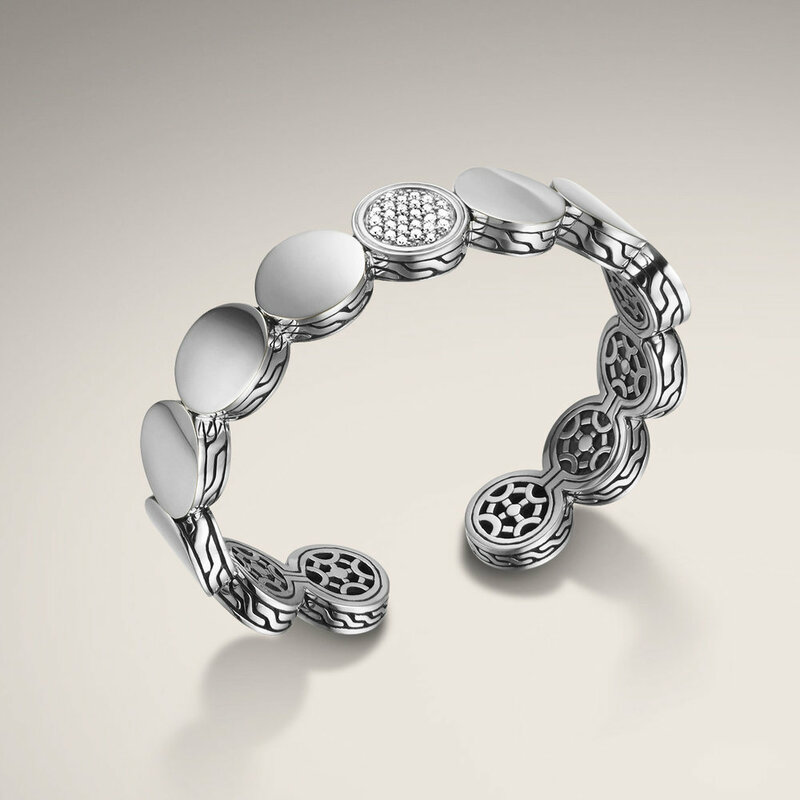 A classic look that every woman loves. 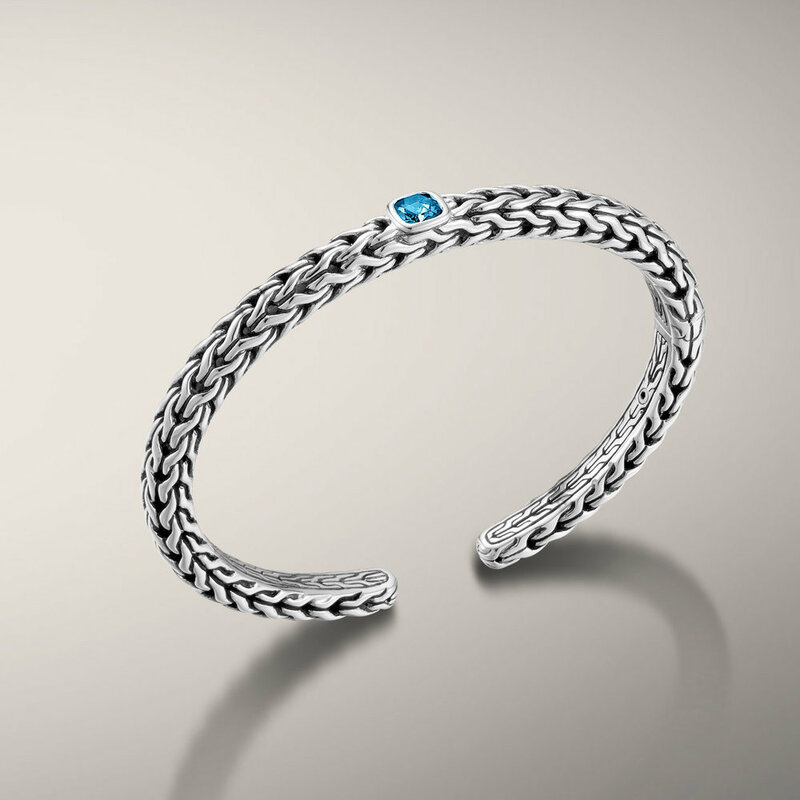 Classic chain and london blue topaz kick open cuff bracelet. Available in many colors. 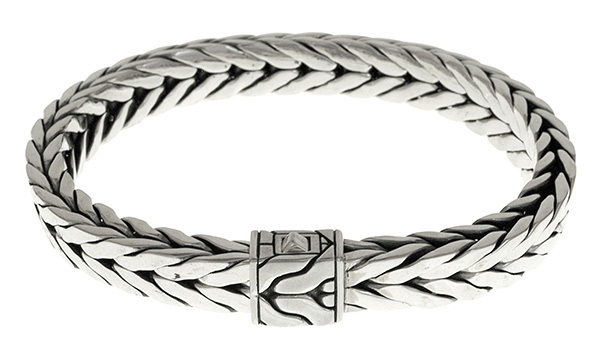 Classic John Hardy woven silver bracelet. All handmade in Bali. Classic look with a pop of color. 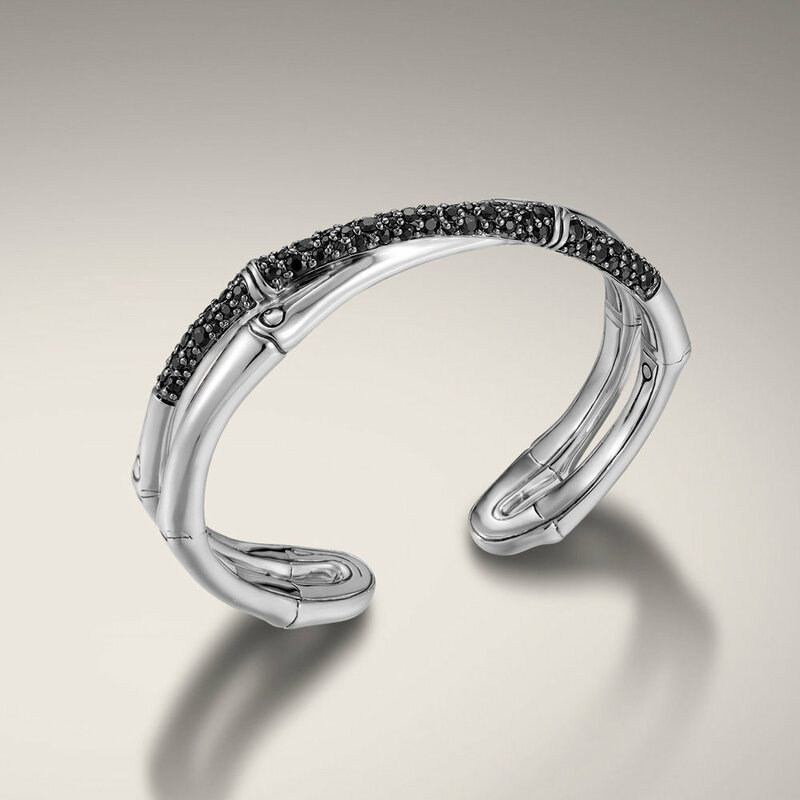 Classic styling with a twist oval of diamonds between each sapphire set in white gold.